Haunted places in Rhode Island are always on the radar of New England area paranormal buffs in search of places to ghost hunt. As one of the 13 original colonies, Rhode Island has a rich and dark history of real haunted areas complete with scary ghost stories. These include taverns, inns, mansions and state parks. 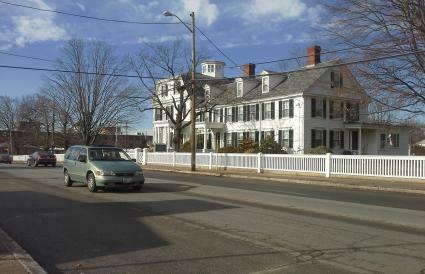 The success of the SyFy Network's television show, Ghost Hunters, has thrust many of the Rhode Island and New England hauntings into the national spotlight. 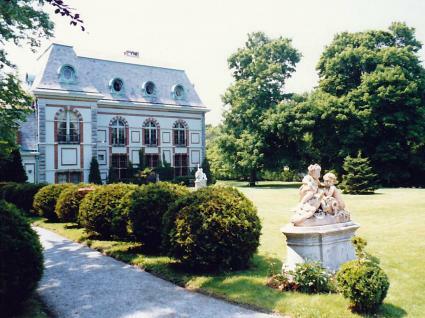 Although many of the haunted areas in Rhode Island investigated by TAPs are private residences, they have also investigated some public places that are open to visitors. Although no conclusive evidence was found by the TAPS team, tavern employees report numerous experiences that they attribute to a possible haunting. These experiences include thrown bottles and the scent of a musky perfume smelled by staff and patrons. Employees experience uncomfortable feelings in the basement along with seeing a full-bodied apparition. The tavern has been permanently closed. 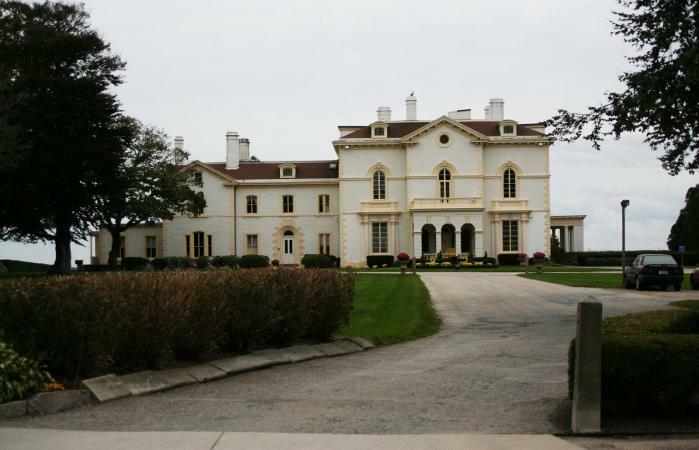 Incidents in this 24,000 square foot mansion (now a museum) include a full-bodied apparition of a woman known as "the lady in yellow," feelings of being touched, a sensation of breath on one's neck, cold spots, and disembodied voices. TAPS found nothing conclusive in this location. This historic B&B dates back to the 1600s. Reports of odd events include sightings of a male ghost, visitors being tapped on the shoulders, and objects being thrown by an unseen hand. A TAPS investigation revealed evidence of paranormal activity. Visit the inn's website to book a stay. Photographic anomalies, strange reflections and images in the ballroom mirror are among the paranormal activities listed at the home (now open for tours) of the Sprague family where Amsa Sprague was murdered. Are there other Rhode Island haunted areas not covered by the TAPS team? Of course! A hired hand died in what now serves as the park office (it was previously a farm). Now, doors open and close in the office, and lights turn on and off. Is the office haunted by the farm hand? In the park, the disembodied voices of giggling girls are heard in the "Suicide Hill" area of the beach where it is rumored that two girls drowned. Visit Colt State Park if you dare. Doors that open and shut when no one is there, phantom footsteps, and disembodied screaming are a few of the spooky events that occur at this home of Revolutionary War General Nathanael Greene. A phantom monk is rumored to haunt this former monastery mysteriously moving books from place to place. Many locals believe that the entire area is haunted by the ghosts of nine militiamen who were flayed by local Native Americans. Are the screams that reportedly ring through the area the militiamen reliving their torture? Another spooky monk allegedly haunts this castle that is open for tours. It is rumored there is also a haunted suit of armor. If you do visit Belcourt, whatever you do, don't sit down. There are reportedly two haunted chairs in the castle that throw people off when they attempt to sit in them. What's more fun than a haunted amusement park ride? In the 1960s, a ballroom adjacent to the carousel burned down resulting in several deaths. 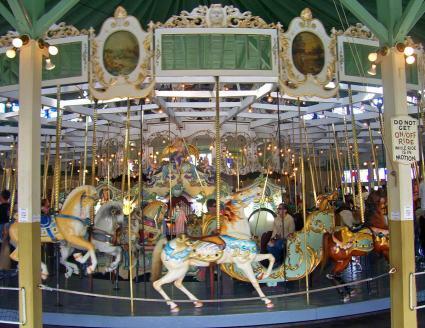 According to employees, those who died still haunt the carousel by turning on lights and music. Strange happenings also occur in the vicinity of the carousel including a female apparition in a hoop skirt and the sound of a phantom train. This restaurant, the boyhood home of Stephen Decatur, is reportedly haunted by the Naval hero. Staff report sightings of a uniformed man, and silverware rattles for no apparent reason. It seems everywhere you go in Rhode Island, you just may encounter a ghost. Tower Hill Road, Cumberland, RI - Drivers along this long and winding road report apparitions of children and a dog. Exeter Grange Graveyard Keep, Exeter, RI - At this location, people can hear sounds of crying, and visitors often see a woman walking near the temporary tomb of Mercy Brown, a well-known local vampire. Kickemuit River/Schoolhouse Road, Warren, RI - Want to see heads on pikes? You just might along this road where settlers were slaughtered and their heads placed on pikes during colonial times. Roger Williams University Dance Theater, Bristol, RI - At this theater with a resident ghost that students have nicknamed Banquo, students notice cold spots and hear disembodied whispers. Is the theater haunted by the ghost of a farm-hand that froze to death when the theater was a barn? Rhode Island is rich with legends of ghosts, hauntings and other strange occurrences. 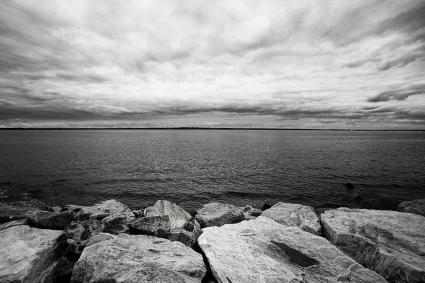 If you've never experienced a ghost, but have always wanted to, why not venture out and experience haunted Rhode Island?